Lingual braces straighten teeth from back surfaces of the teeth. They are a discreet way to straighten teeth in comparison to traditional fixed appliance braces and aligners. Lingual braces comprise of small brackets and arch wires which are bonded to the back of the teeth providing virtual invisibility. Each bracket is custom made to fit the back surface of each tooth, this ensures the brackets are of the correct size and shape for optimum results to be obtained. Lingual braces work in a similar way to conventional orthodontic braces, but they are hidden behind the teeth. 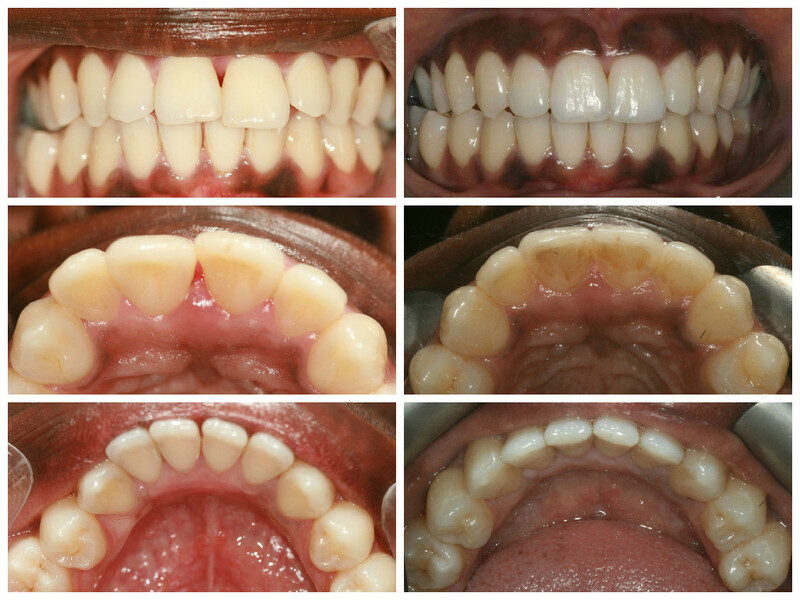 In order to fit lingual braces, two appointments are scheduled. During the first appointment, impressions of the teeth are taken and sent off to the laboratory where custom made brackets are produced. 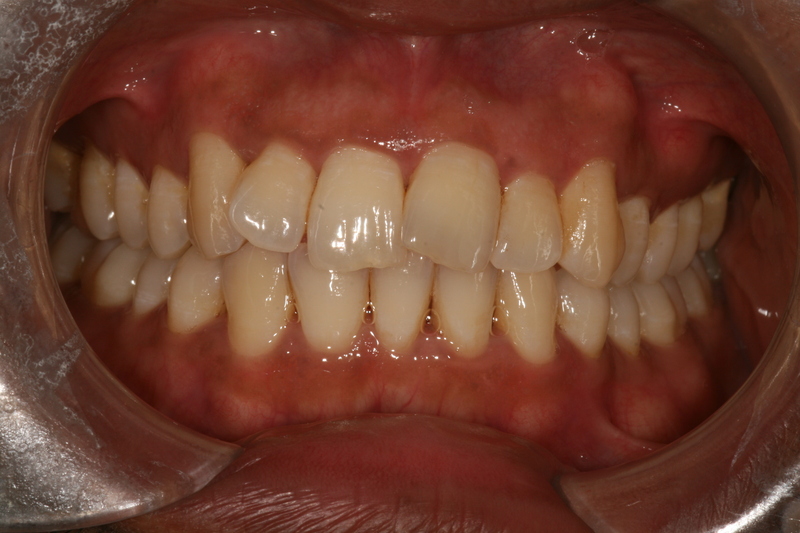 During the second appointment, the braces are fitted behind the teeth. 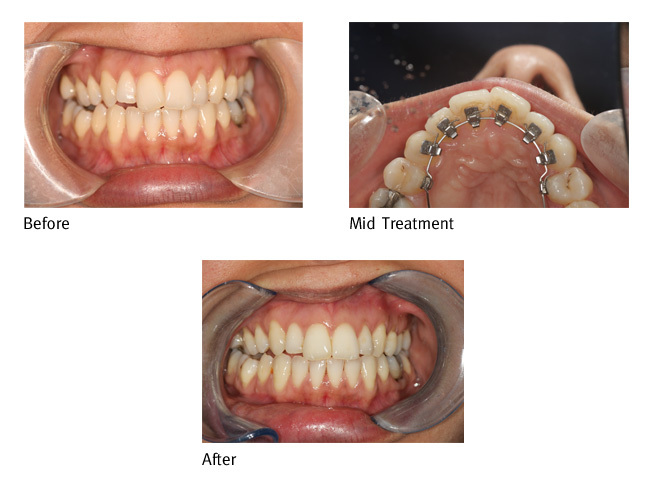 The procedure is similar to that of conventional braces. The brackets are cemented onto the teeth. A wire is then placed on the brackets and tightened to begin the teeth straightening process immediately. One of the most important things to remember when wearing lingual braces is a strict oral hygiene regime must be performed at home on a daily basis to remove food trapped in the braces, and keep gums and teeth healthy throughout the treatment. For more information on correct oral hygiene and how to care for your teeth at home please click here. If you would like to find out more about lingual braces in London, please contact us and book in for your FREE consultation at our dental practices in London. Lingual or hidden braces are provided by our multi award winning dentists in our dental practices in St Johns wood or Finchley. Lingual braces are an invisible way to straighten teeth. 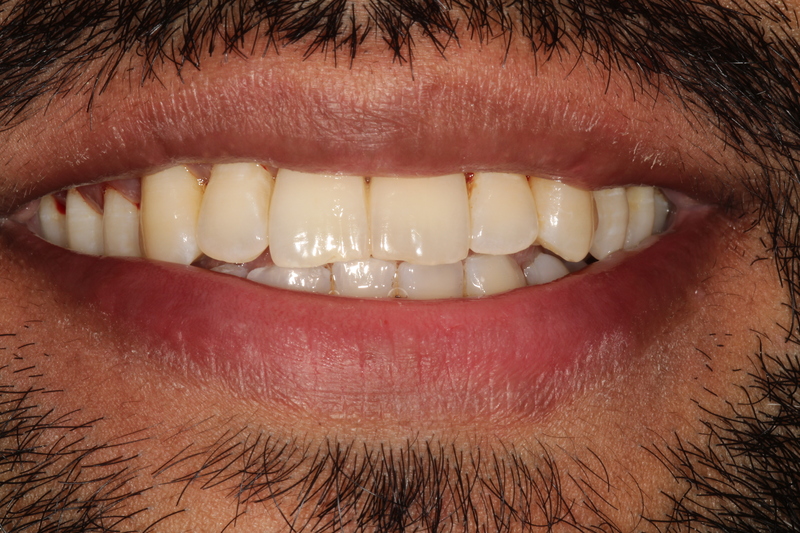 Lingual braces are hidden behind teeth.